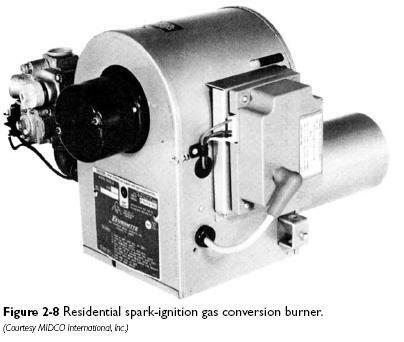 A gas conversion burner is used to convert heating equipment designed for coal or oil to gas fuel use (see Figure 2-8). The boiler or furnace must be properly gastight and must have adequate heating surfaces. A characteristic of gas conversion burners is that pressure will sometimes build up in a furnace due to puffs or backfire resulting from delayed ignition and other causes. Local heating codes and regulations usually stipulate that furnace doors be held tightly closed by spring tension only (in other words, not permanently closed) in order to provide a means for relieving pressure. 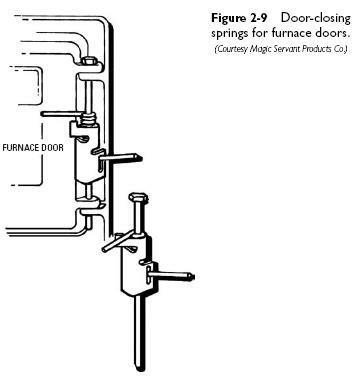 Figure 2-9 shows an example of a door spring that can be used for this purpose.